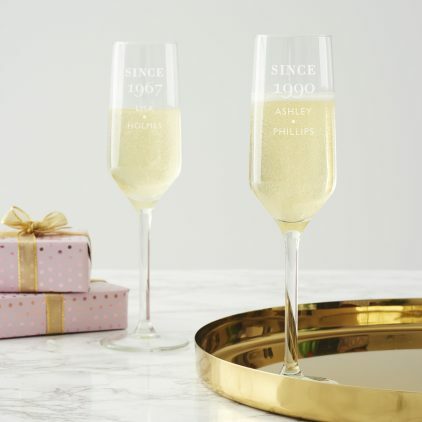 Our personalised birthday wine glass in gold would be perfect as a 40th birthday gift for a friend or sister. 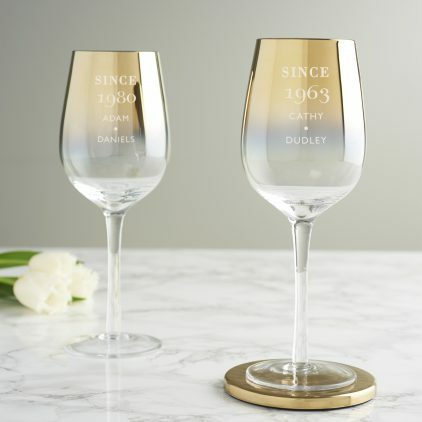 Designed to celebrate a loved one’s year of birth, this personalised birthday wine glass is perfect for celebrating turning a milestone age. 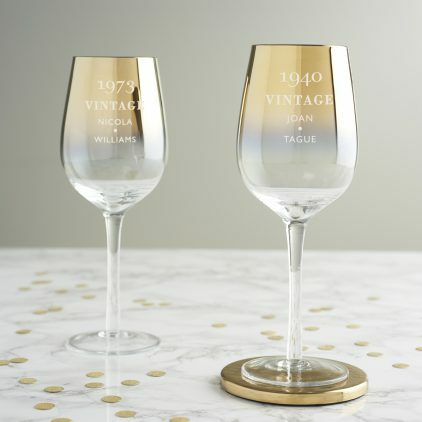 Create a personalised ‘vintage’ wine glass for a 40th birthday or any other milestone that deserves a special gift. 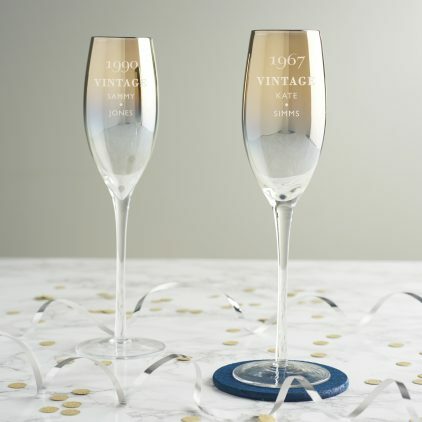 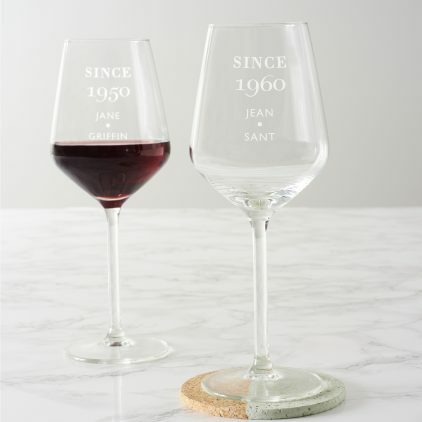 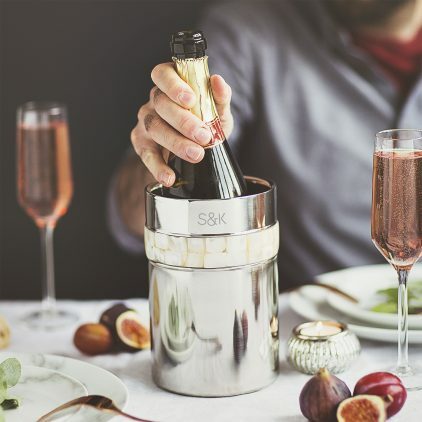 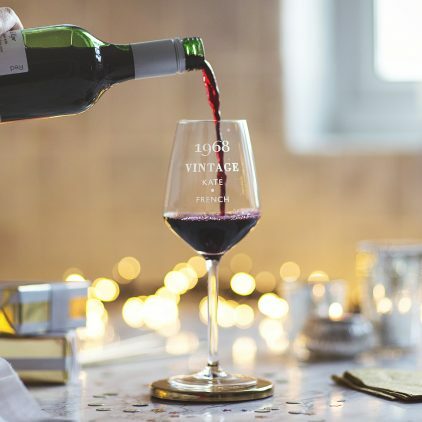 The personalised vintage wine glass is the perfect gift for a wine lover celebrating a special birthday such as a 50th or 60th. 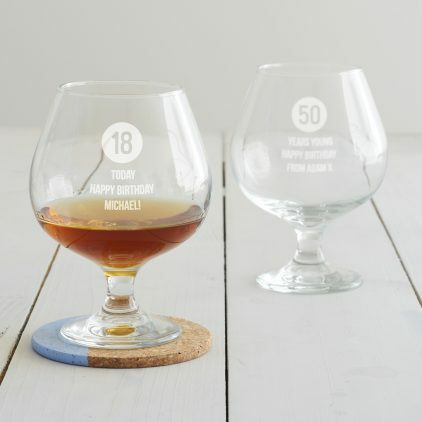 Our personalised brandy glass is a special keepsake for a dad, uncle or grandad celebrating a milestone birthday. 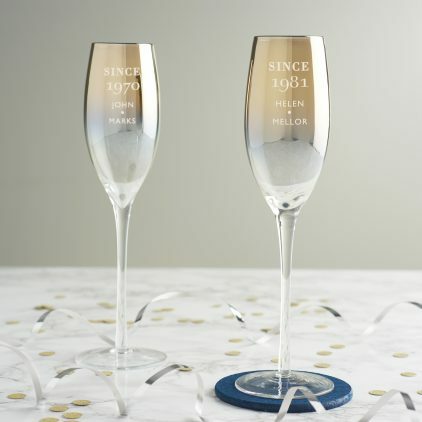 A personalised birthday champagne flute for a celebratory glass of bubbly. 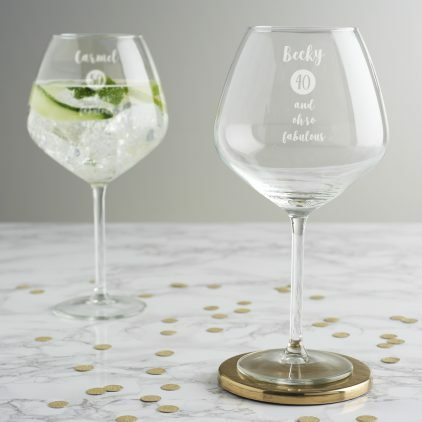 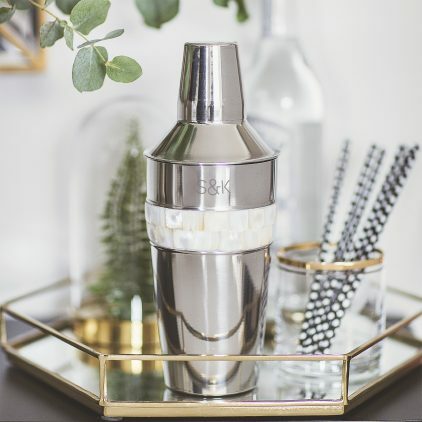 This personalised goblet is perfect for a gin lover celebrating a milestone birthday. 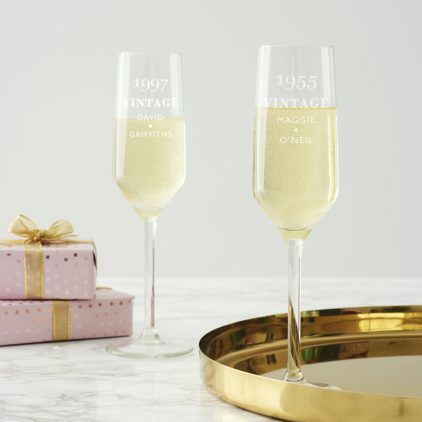 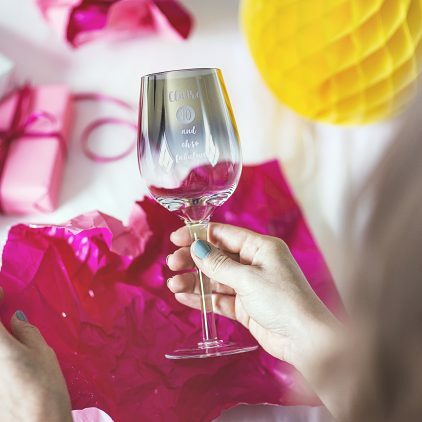 Help someone celebrate a milestone birthday with a personalised birthday age wine glass. 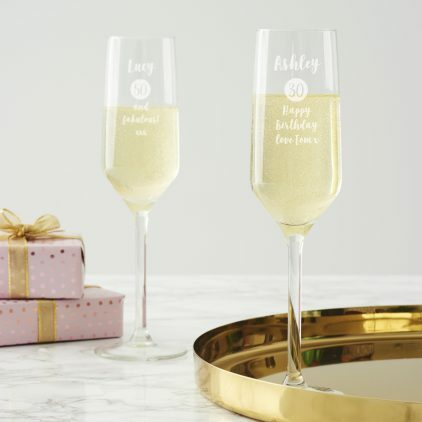 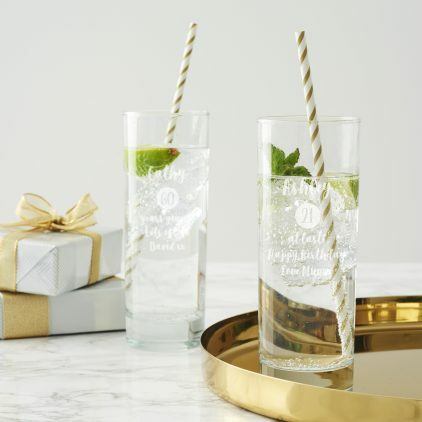 This hi ball glass birthday gift for her is just the thing for a celebratory drink on a special birthday! A personalised hi ball glass is the perfect gift for celebrating a milestone birthday. 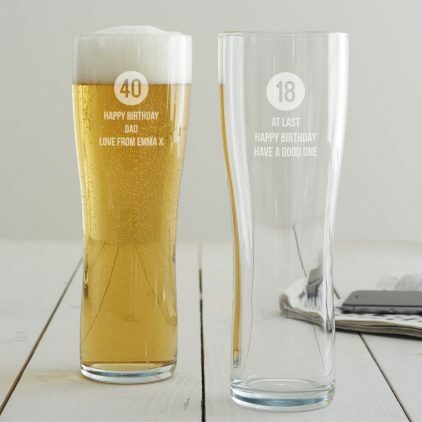 This birthday pint glass for him is perfect for the man in your life who is heading towards a milestone birthday. 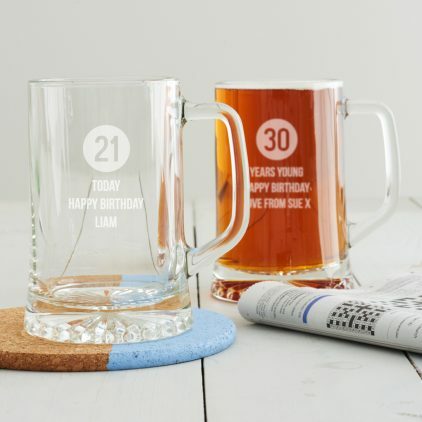 A personalised birthday age beer glass is the perfect gift for a son, brother or friend celebrating an 18th or 21st birthday. 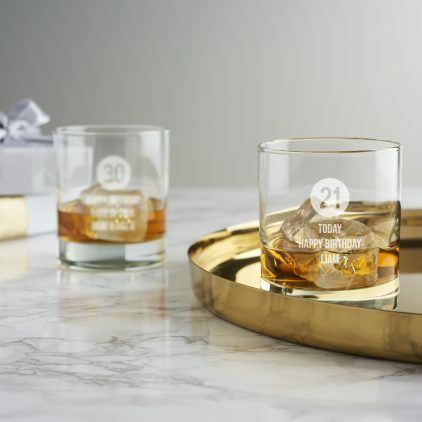 The milestone whisky glass is a great personalised birthday gift for him whether that is an uncle, grandad, brother or friend. 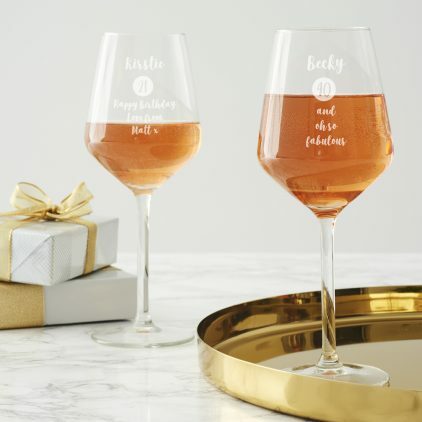 A birthday wine glass is a special personalised gift for her to mark a milestone birthday.